Tracy Rose currently serves as the Organization Lead for Blue Zones Project – Dodge county. 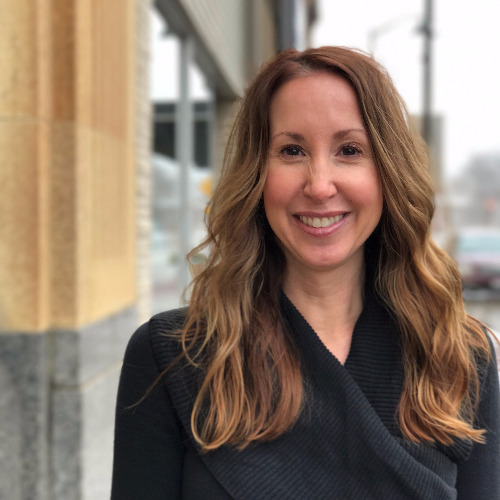 Her main focus is making connections with the people and places that impact well-being within Dodge county and removing barriers to help them be set up for success. Tracy is a Clinical Exercise Physiologist with an extensive background in nutrition and health promotion. She has spent the last 6 years focusing on worksite wellness programming and creating cultures of health and well-being within the workplace. For Tracy, being a part of Blue Zones Project Dodge county has been a dream come true. Two years ago she picked up Dan Buettner’s book “The Blue Zones Project: 9 Lessons for Living Longer from the people who’ve lived the longest,” and imagined how amazing it would be to be involved with a project that incorporates the “perfect storm” of influence between physical health, healthy behaviors and environment. Tracy lives in Sugar Island with her husband and two furry boys; their black Labrador retrievers. She is active in the outdoors, enjoys cooking, music festivals, great road trips and hopes to find her way to Wyoming someday.